Trust a name professionals like 27-Time Shuffleboard World Champion Billy Mays whole-heartedly recommend. Why do the pros and best trick shot artists trust Hudson? 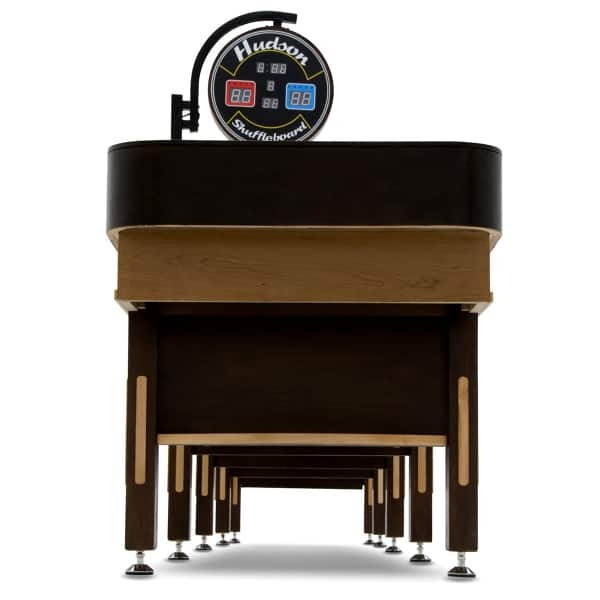 Every Hudson shuffleboard, such as the 12' Grand Hudson, offers an expert-quality playfield! 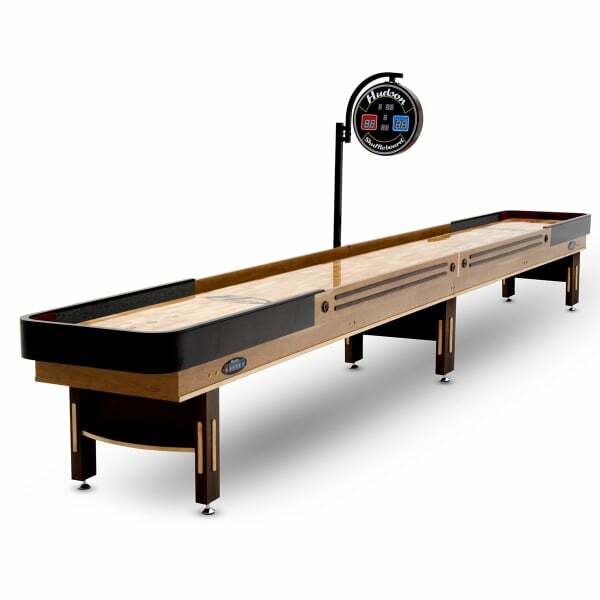 Neighborhood children and visiting shuffleboard champs will love the 3" kiln-dried Maple wood playing surface coated with a ultra-strong polymer finish. The Walnut cradle, with inlaid trim-work, is elegant and will look great in any home. Keep track of the game with the stunning 18" electronic scoreboard easily controlled by two digital panels near each end of the table (see pictures). 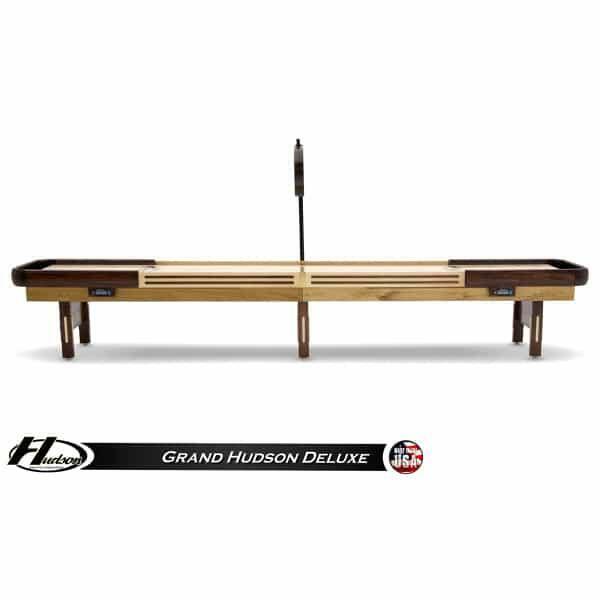 The 12' Grand Hudson comes with everything you need to get started with eight playing weights, a playing weight storage box, two bottles of speed powder, two protective cushions in either green, gray or burgundy, one board wipe for cleaning and five-inch leg levelers. 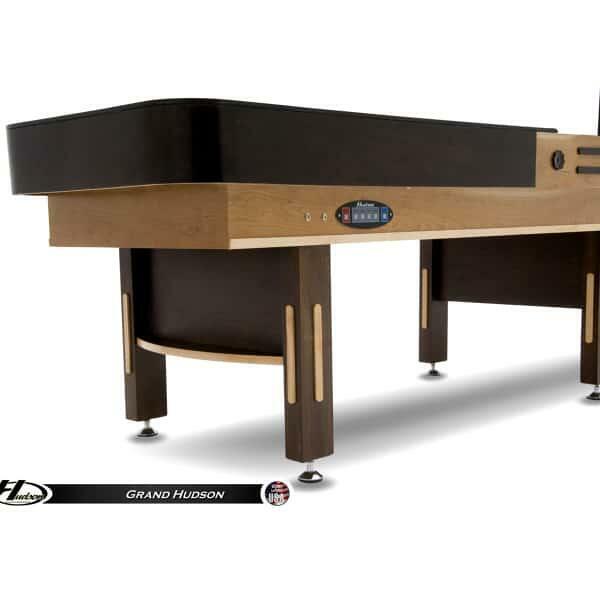 So grab a Shuffleboard Table made from the best materials that amateurs and professionals alike will love! 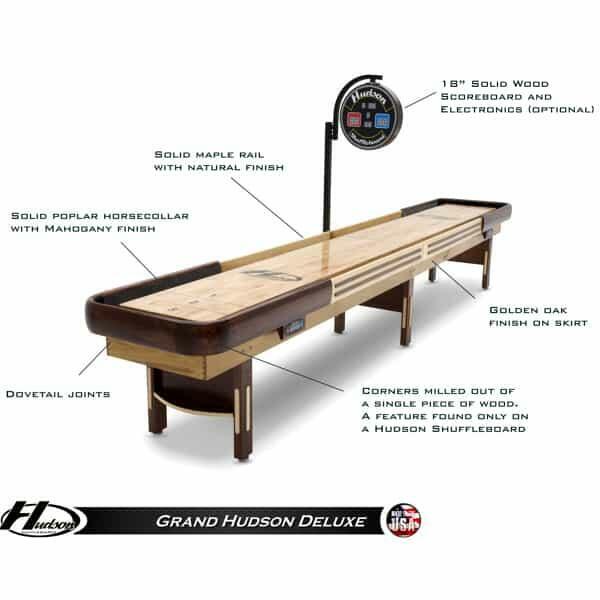 Contact Family Leisure and about the 12' Grand Hudson Shuffleboard Table today!